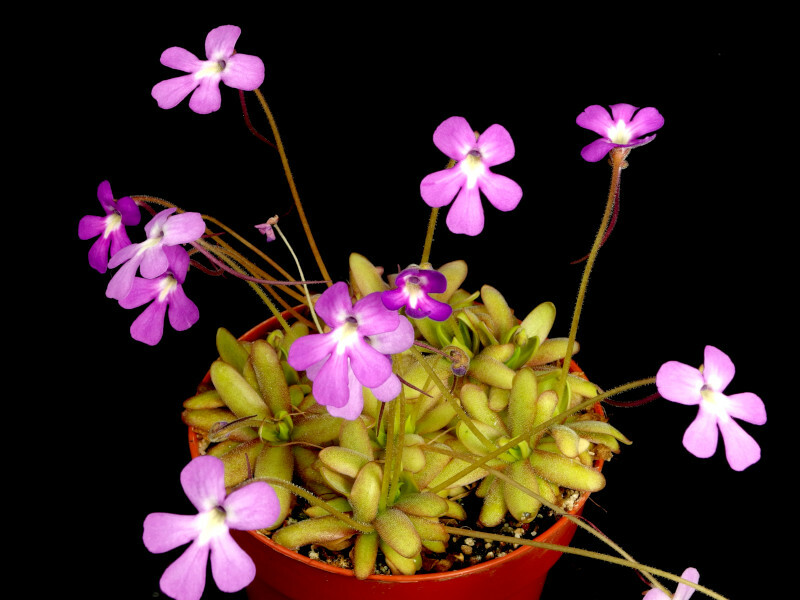 Pinguicula moranensis f. orchidioides is one of the Mexican butterworts. It prefers a loose, open soil. We use an all mineral mix which contains an aquatic planting medium based on arcilite, a common clay-based mineral used in soil-less planting mixes. Also includes silica sand and a very small amount of iron oxide. 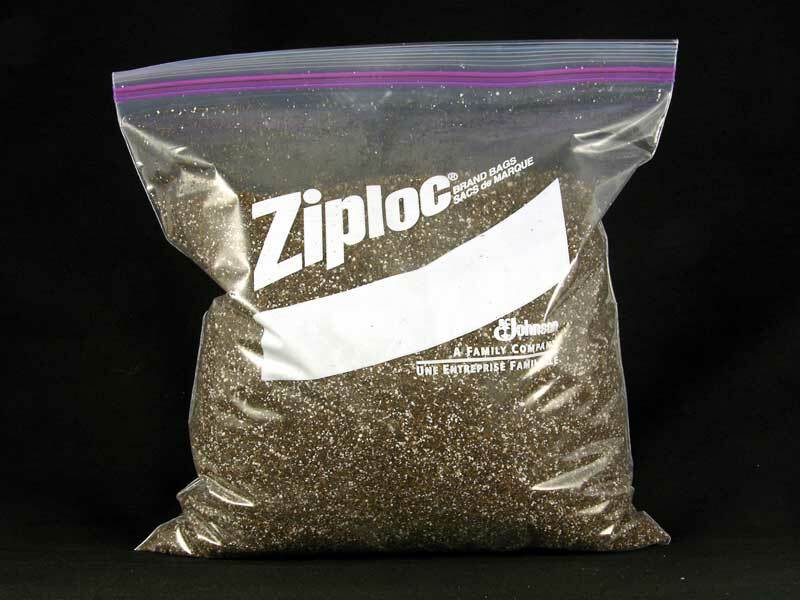 Another good mix is composed of 1 part each of peat, sand, vermiculite, perlite and pumice. Shipped bare root, carefully wrapped in damp sphagnum. 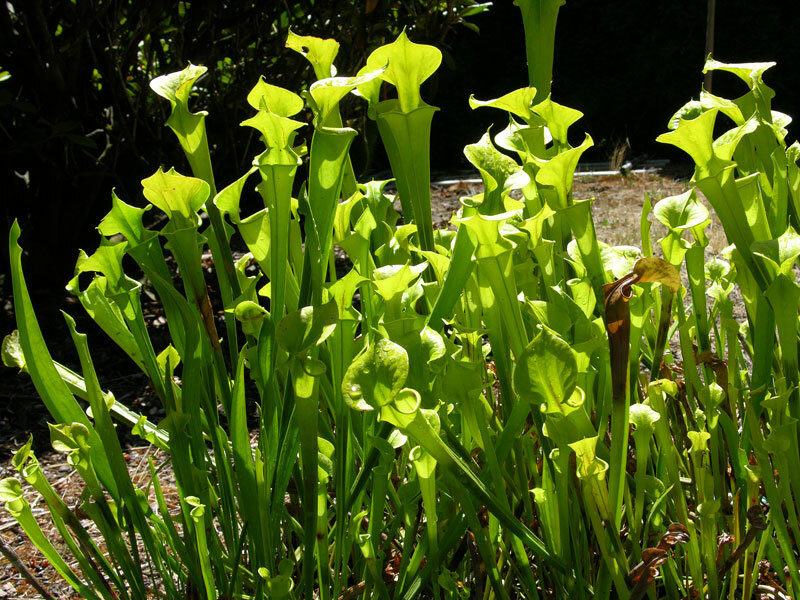 The image shows a mature, blooming-size plant. The plants for sale may be smaller, not yet blooming size. 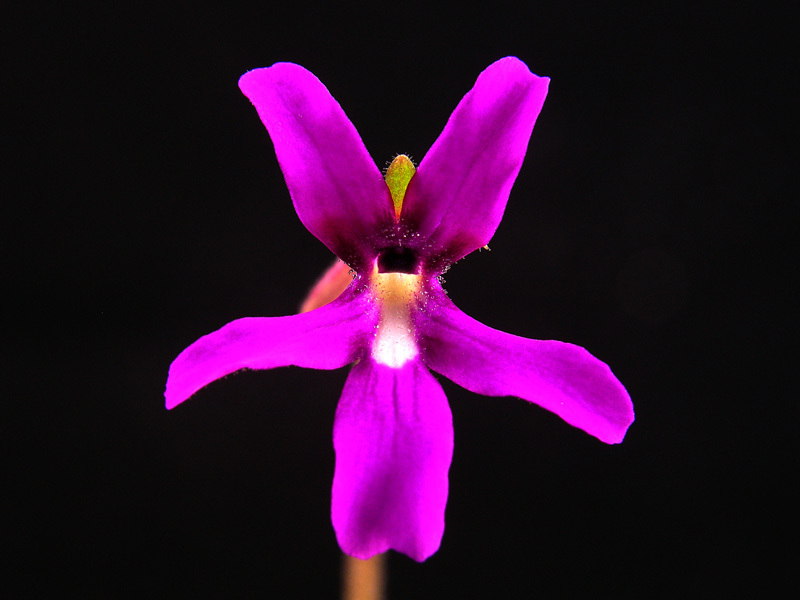 For a picture of the incredible flower of this plant, see the Picture Gallery.